Few public officials can have been as resolute in fighting corruption as Asanga Abeyagoonasekera. Under the previous Sri Lankan regime, when journalists were being assassinated and the articles he was writing about governance were blocked, he continued to publish via a think-tank in India, disseminating his pieces via social media. His own father, the politician and party leader Ossie Abeyagoonasekera, had already been assassinated in the election campaign of 1994. The use of social media was telling: under a new government that he believes is taking steps to reform the country’s political culture, Abeyagoonasekera has pioneered digital means of outflanking corruption. One of these is a website called I Paid A Bribe , which allows Sri Lankans to report corruption quickly and anonymously – rather than have to go and wait at the Bribery Commission. The website was transplanted from India, from where its creator Ramesh Ramanathan has deployed it in 13 countries including Pakistan, Greece and South Africa. But nothing is that clean and simple, especially not in a country ranked 83rd in the Corruption Perceptions Index , on a level with Liberia, Colombia and China. Abeyagoonasekera spoke to Apolitical about the potential – and limitations – of excising corruption by digital means; about overcoming an institutional culture and – most unexpectedly – about how his work led to a boom in whale watching. 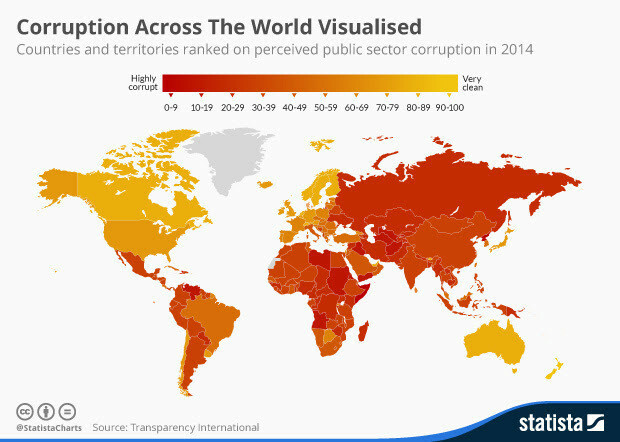 How can you tackle government corruption while you work for it? Well, when you work for the government, but write against somebody or reveal some person’s corruption or whatever, of course you’ll have a lot of trouble. That’s why for the changemakers in government, it’s very difficult. For example, I lost my position – they kicked me out of two places. How did you get kicked out? Once, for example, was at the Foreign Employment Agency, where I was the Chairman. We send a lot of our workers abroad and get about $6billion in remittance, which is a huge amount. It supports our economy. I came up with an electronic database for applications, which bypassed the usual system where you would bring letters from a politician and attach your CV. I said: You don’t need a letter from a politician to get abroad, you can apply directly to the database and I’ll send you abroad. I launched it and they stopped it after a month or two, and I was moved on from there. Is that because politicians were taking bribes to write the letters? Yeah, exactly. So in getting the politicians’ letters there were bribes involved, and they also secure the votes from that family. That was the culture I was try to break by introducing an electronic system, and that got me out of my job. What was the other time you were kicked out? The other time I was given a task to revive the national think tank, the Kadirgamar Institute which I did. But when the new Minister came in, he removed the entire staff, including me. This is the disgusting political culture we have: every time a new Minister comes in they reset the entire institute. How far can software take you in cleaning up a corrupt institutional culture? I’ll give you an example. After the tsunami, I was Chairman of the Fishery Harbours Corporation, to rebuild the fishery harbours. And when the fishing vessels come to the harbour, especially the international ones, they have to have a landing permit, which has to be signed by the fishing authority, the Director General, it goes to the Minister, so all of these signatures need to be there for the stuff to be unloaded. So I digitised it. I digitised the entire thing, so you don’t need to run around with a file to all these departments and Ministers. It worked very well for the first few months, then after that they changed it back again, because somewhere down the line someone was getting something. That was corruption, that was why they reversed it: there was nothing wrong with the system. But we went back to the manual system. And there we also needed political will and support. How much can you tackle corruption at the political level? For elections, parties write all these things about fighting corruption, but when it comes to implementation, that’s where the roadblocks are. And it actually starts in the elections – and that’s another project I’m getting involved in, to see the growth of the politicians’ assets. So basically when you contest for election in Sri Lanka, you have to declare your assets. But there’s no mechanism to check the growth of your assets from election to election, so I’m trying to create some software with a university so I can give it to the Commissioner of Elections. You see, some politicians have a massive accumulation of wealth, but they’re not questioned by anybody. But I think by looking at asset growth, you could control political corruption. How important is public support? It’s very important. Even I Paid A Bribe, they can kill it if they want to. If nobody speaks about it, it’ll have a natural death. But now the people have heard about it, they like it, so that’s a great strength to have. And writing a column is a very useful tool, because you’re protected, because the public knows what’s really happening. The greatest thing we had in our country under the previous regime was Facebook, because the electronic media was blocked. We have one called the Colombo Telegraph , which is very popular, something like the Huffington Post, and it was blocked. Although they had a proxy for access, the government didn’t block Facebook or Twitter, so that was where things were published. I used the IPCS, a think-tank in Delhi, so they published my articles and I brought them to Facebook. Under the previous regime, we had assassinations of journalists. This is a country that has suffered so much, three decades of war. So we’re looking to change our political culture. There is hope to make it better. Is that why you joined the public sector? I joined after the tsunami, which killed more than 40,000 people here. I was working in the private sector, in telecommunications, and I wanted to help people. All the harbours were damaged by the tsunami and the task of rebuilding them was given to me, and I was very happy doing it. And also as a child I had this because of my dad. He was a politician, and I saw as a child that he was doing great stuff and helping people, so that was something I wanted to do. You’ve spoken about the need to strengthen state institutions; what do you think is possible? There’s a lot you could do. In the government sector, all the institutions could run at a profit, but it’s the corruption, it’s the bad management. When I took over the Foreign Employment Agency, it was running at huge losses, and so was the Fishery Harbours, so I brought in ideas from the private sector. I got Ernst & Young involved to make strategic plans to convert the losses to profit. For example, the government whale watching programme of Sri Lanka. We started with four rescue boats that were given to me in 2005 to rescue fishermen, but you don’t have rescues every day, so I said use it for whale watching. And I was lucky, we spotted a few whales and now it’s a massive industry. But unfortunately today both places are loss-making again. Politicians when they are appointed put in lots of employees. When I left fishery harbours there were 800 employees and now its close to 2000 for the same set of harbours. Do you think the institutional culture is changing? Yes, it is changing, but there’s a culture of fear and you can’t blame people for that. It used to be that if you talked against things, you could get shot. In a Western country, you won’t get assassinated; here, it has happened to many people. So there’s fear. Even with I Paid A Bribe, I got a few calls saying, ‘Are you serious? Are you doing this? Think twice.’ And I said, ‘Yeah, I’m doing it.’ You can’t blame them for that culture, but you’ve got to change it.